Sutable for Packing with Nitrogen Flushing. Used for Namkeen, Mouth freshner, Tobaco, Powder, Liquid etc. 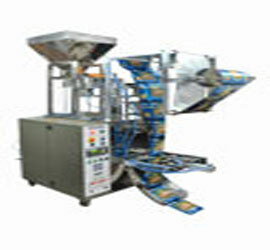 Capacity: 1 - 10 Gms, 50-100 Gms, 100-250 gms, 250-1000gms. Power: 1/2Hp. Motor, Single Phase. Filling System: Cup Filler, Augur Filler, Weight Filler & Piston / Pest Filler for Liquid. Degital Photo & Tempeature Control Unit.